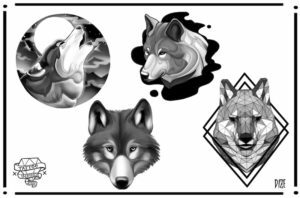 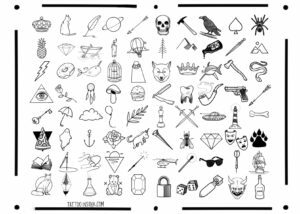 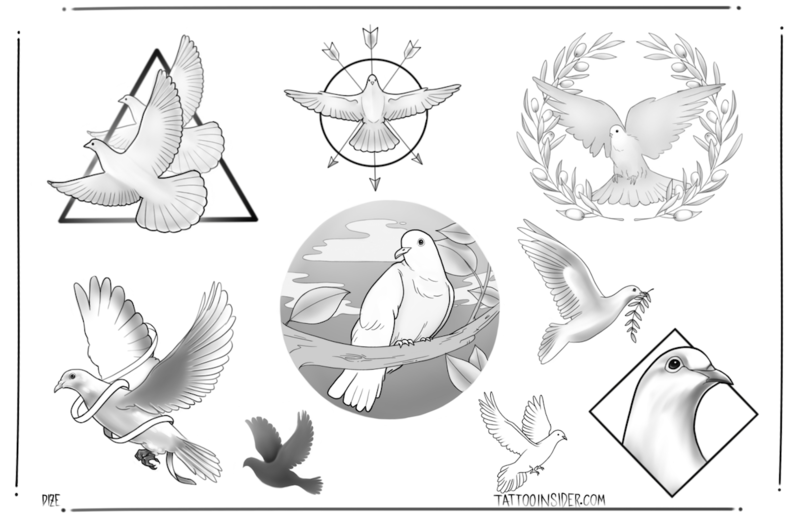 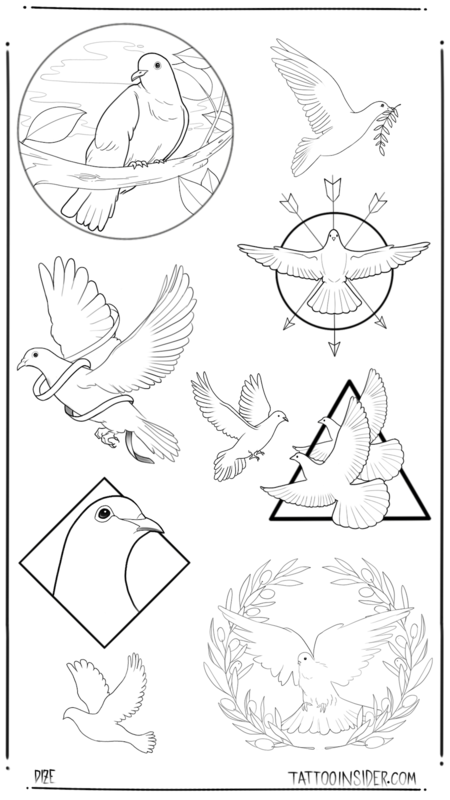 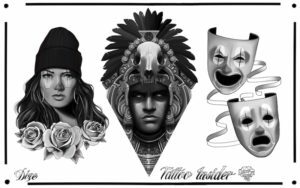 We’ve created 9 free dove tattoo designs including line work, these can be used to get tattooed, temporarily tattooed or just used for ideas. 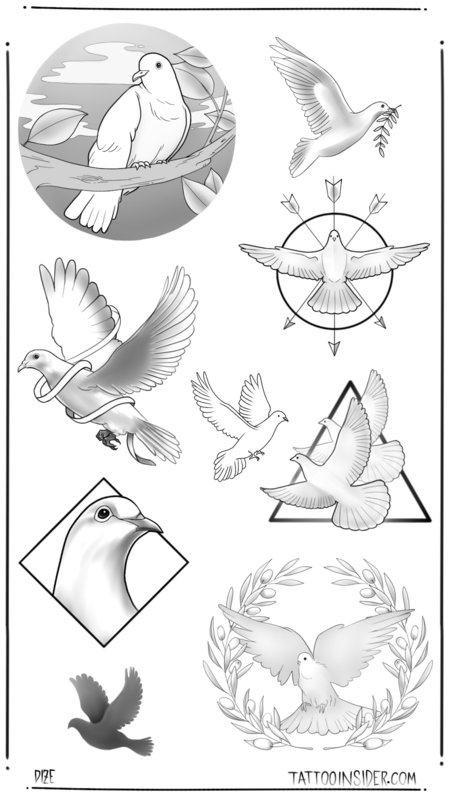 These dove tattoo designs can represent peace, love, freedom, hope, faith, romance or whatever a dove symbolizes to you personally. 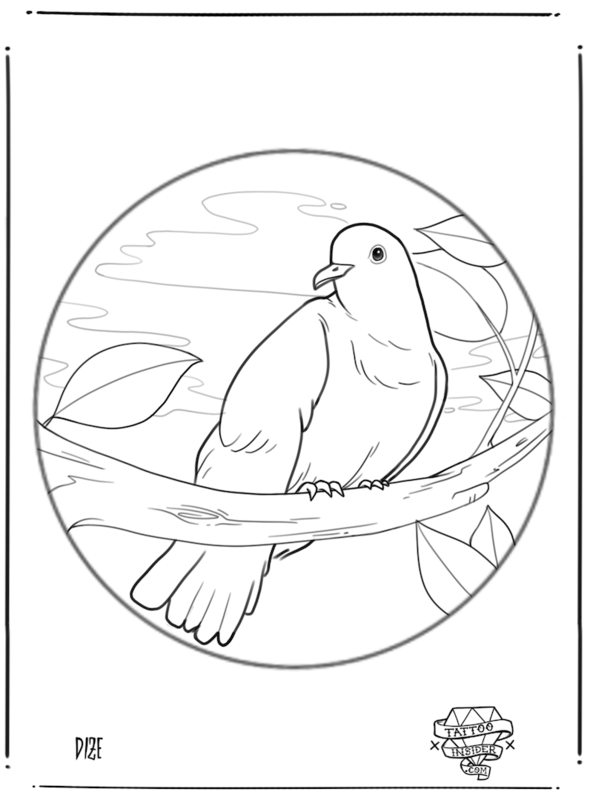 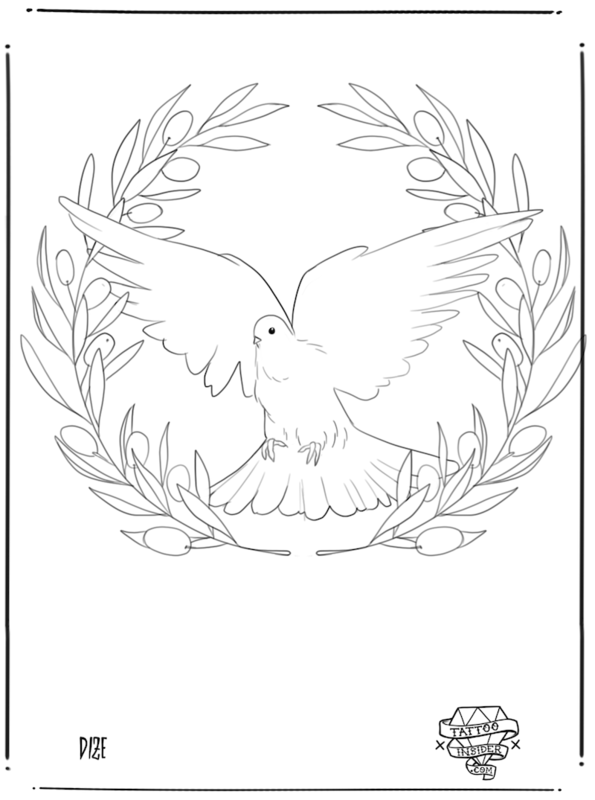 Doves are a popular symbol, used in many different groups and religions including Christianity, Judaism and Paganism. 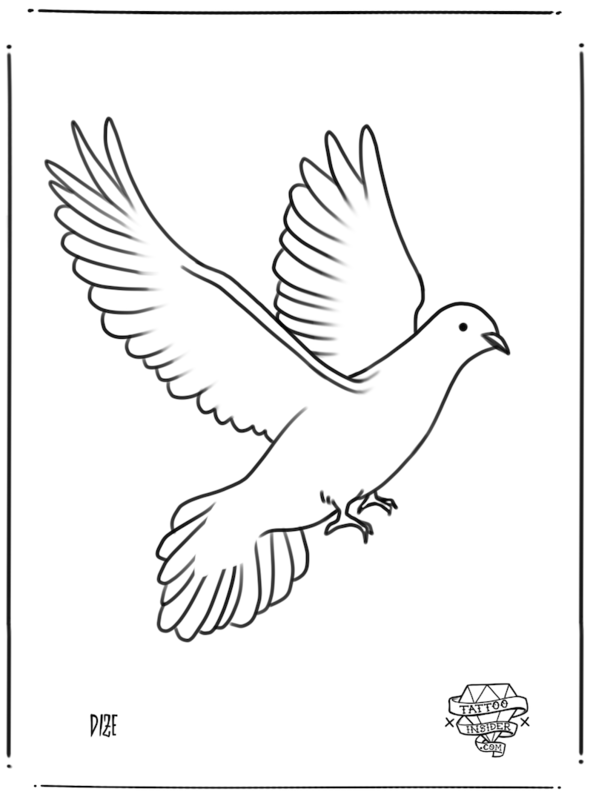 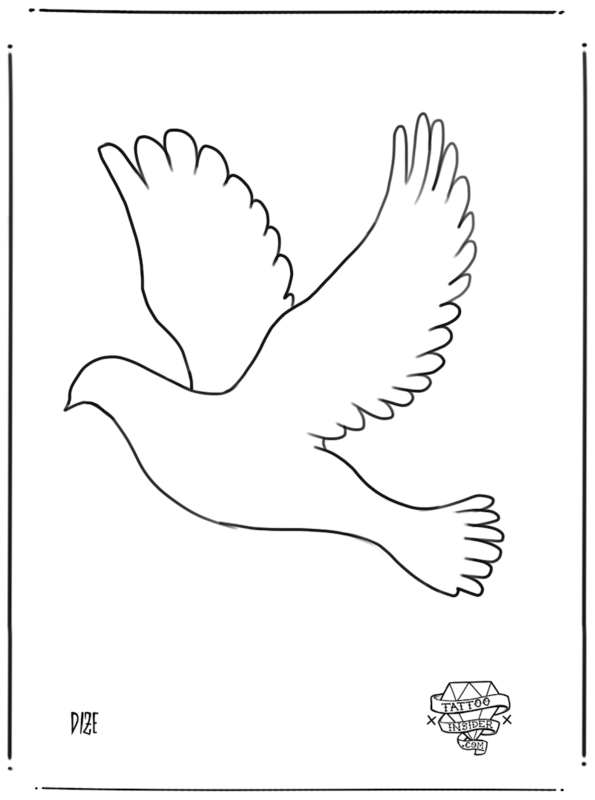 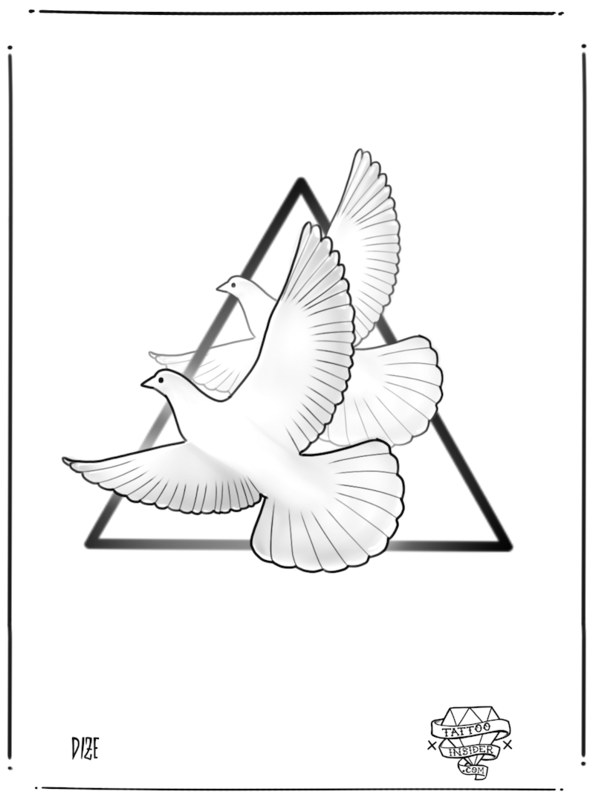 the most popular symbolic meaning of the dove is peace and can be recognised for this all around the world. 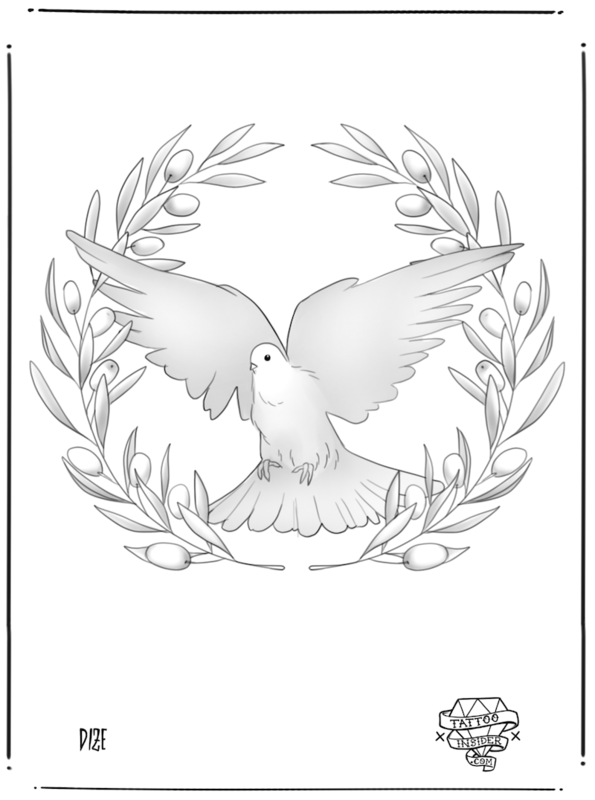 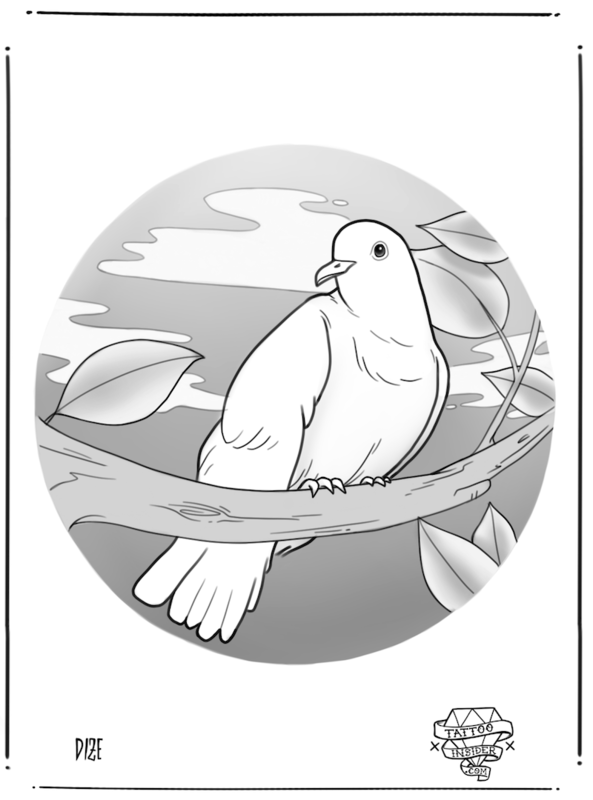 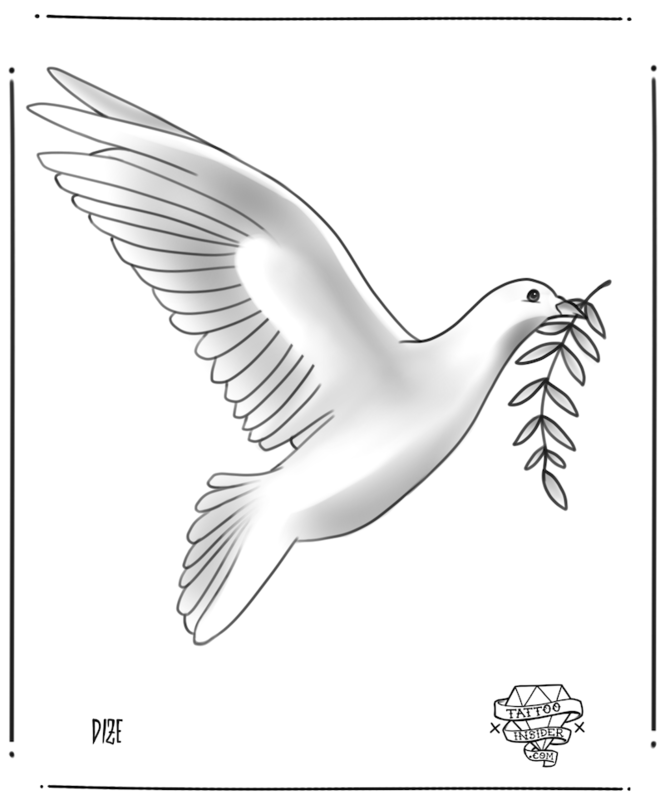 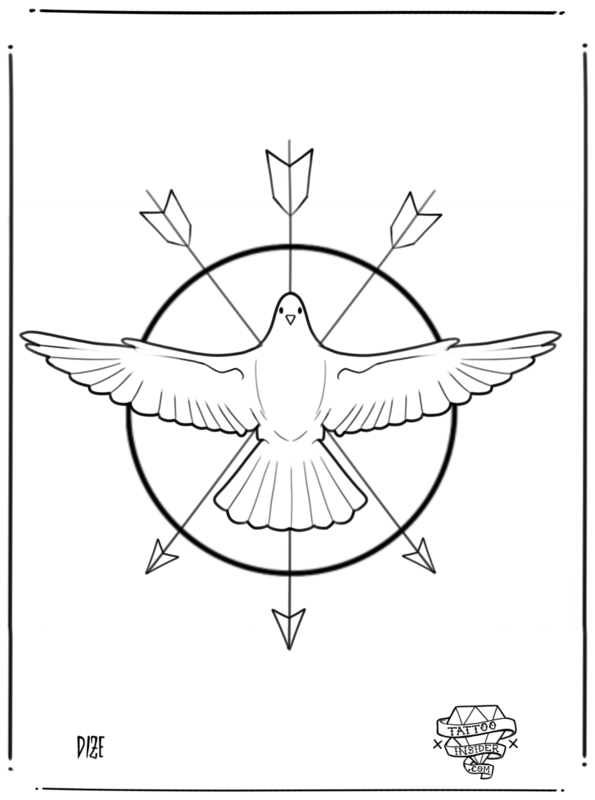 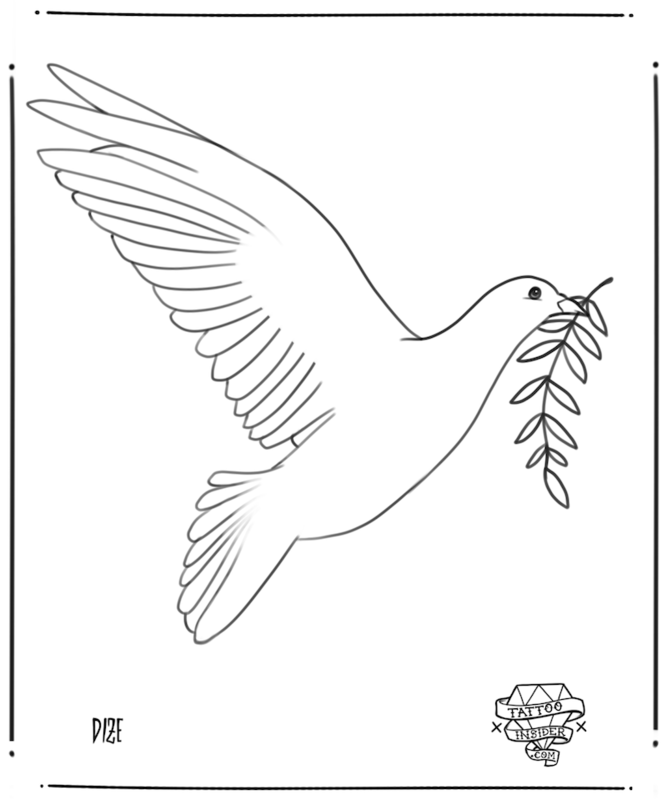 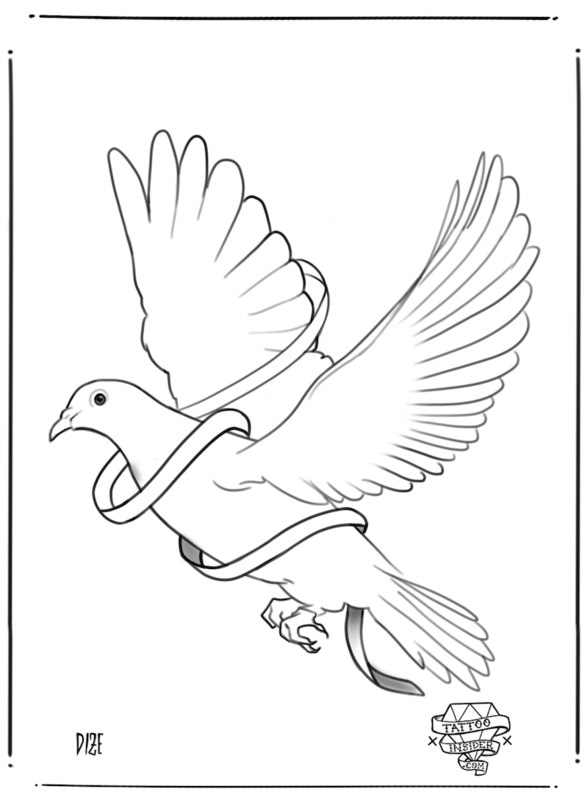 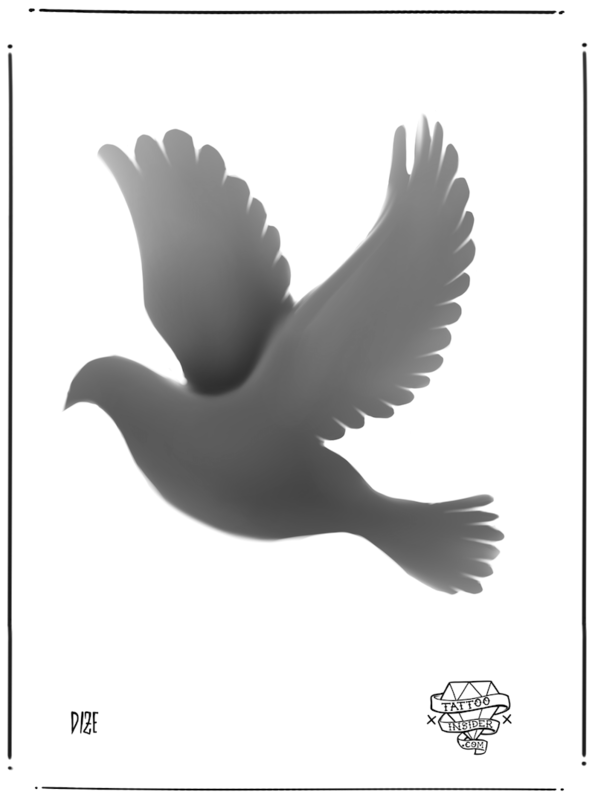 a great dove tattoo design to represent peace is one that involves an olive branch. 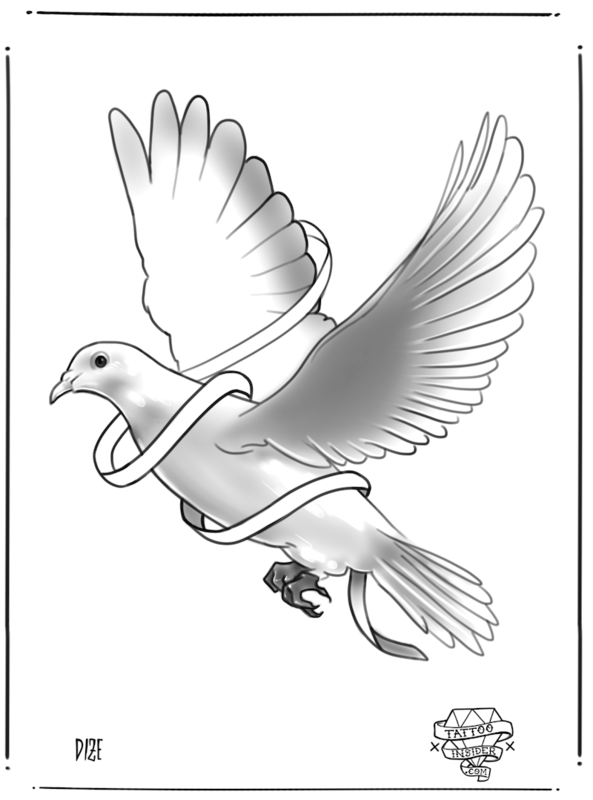 When a dove chooses its mate, its for life, so matching dove tattoos are a great way to show your love and devotion for your significant other, smaller dove tattoo designs are a popular choice for matching tattoos. 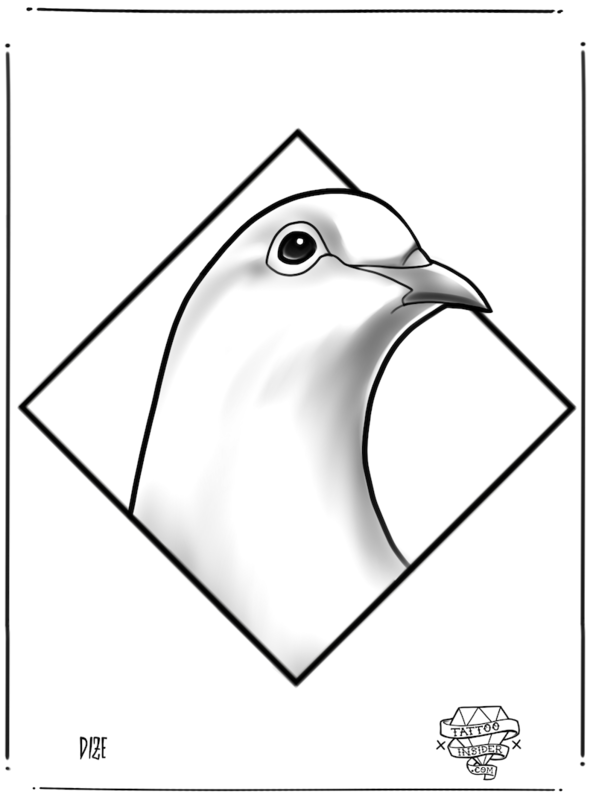 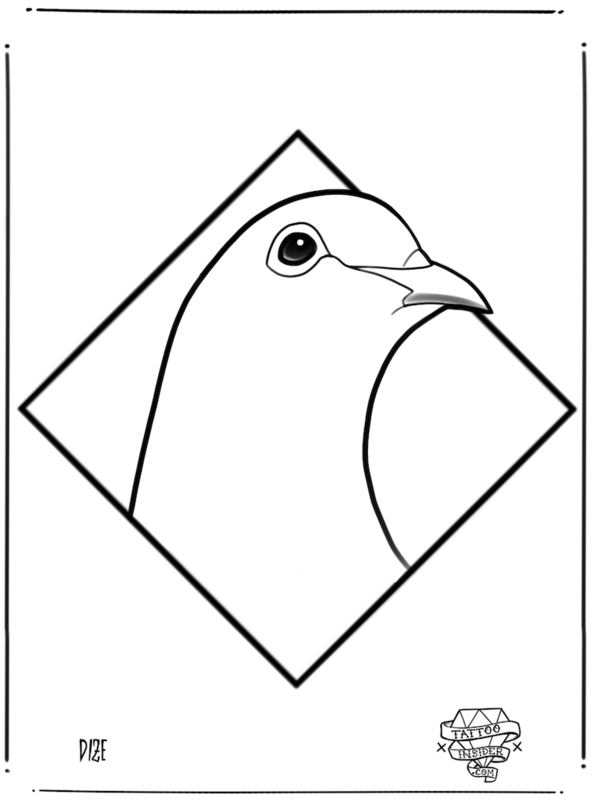 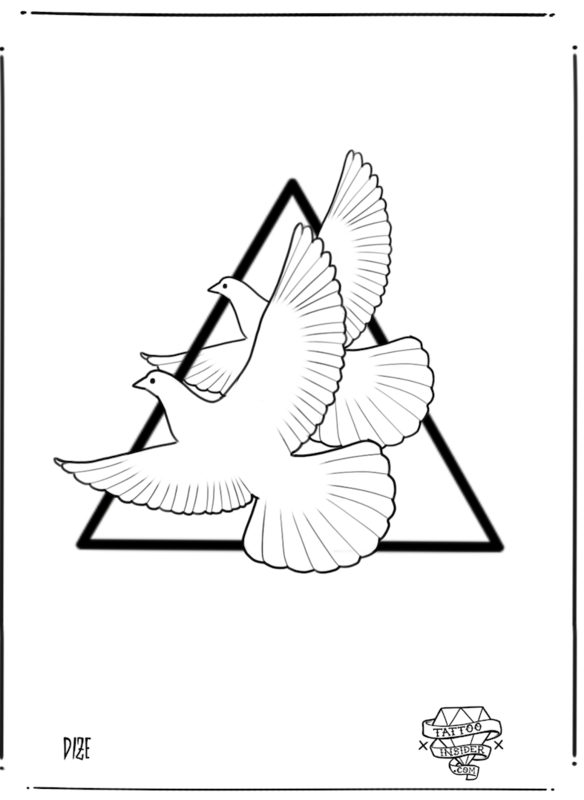 Check out our dove tattoo designs below.